3 Can’t I just buy backlinks? 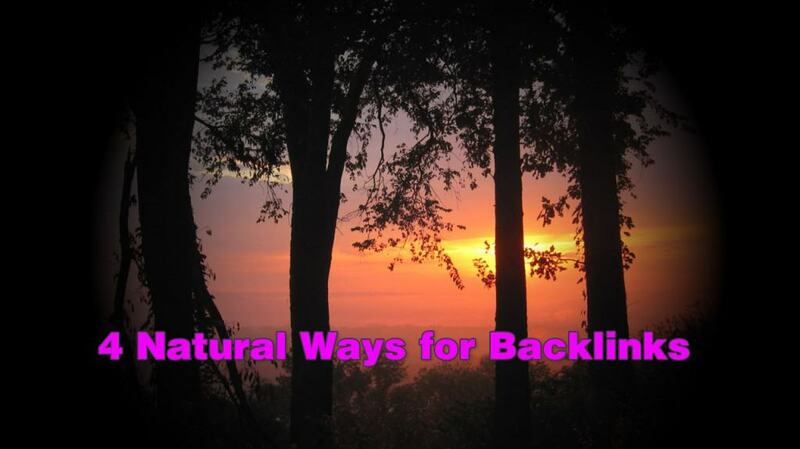 4 How do I build natural backlinks? Having a diverse collection of real backlinks is essential for your website to rise to the top of the search rankings, and is a crucial part of any search engine optimization campaign. While creating engaging content will lend itself to backlinks creating themselves through social sharing, knowing how to build a good backlink with great domain authority, is part art and part science. Backlinks, or inbound links, are links from other sites to another. The search engines, notably Google, analyze these and use them as a measure of a site’s authority. The rationale behind this is the more sites link out to another particular website, the more trustworthy and authoritative it is considered to be. The more inbound links your blog has will play a key role in determining its overall rank. Can’t I just buy backlinks? While it is true there is no shortage of online sources selling backlink packages cheaply; this strategy is not the best. Backlinks are not evaluated equally by Google, as the quality matters much more than the quantity of inbound links. As a general rule, the easier it is to acquire backlinks, the less value Google applies to them. How do I build natural backlinks? Ideally, you would like to acquire links that fall under specific criteria. They should be from other sites related to your niche, or at least with a fair amount of trust factor themselves. They should be links in which you have no control over the anchor text used, meaning that you are not able to influence how the outbound link appears on their site. Finally, any links that are scalable – meaning there are millions of possible variants for link builders to use will introduce noticeable patterns into Google’s algorithm that will penalize your site. However, Google loves natural backlinks, and these are the type which will help your site in Google. While it’s a more time-consuming process than merely purchasing links, it’s well worth it in the end. And it’s not difficult; it merely involves networking with other webmasters and getting them to link out to you. Knowing how to do this efficiently is what separates unsuccessful blogs from successful ones. There are several strategies to use. It’s important to remember that merely asking for a link doesn’t usually work; offering something of value is the best way to proceed. We’ll take a look at some of the best ways to obtain backlinks. Websites frequently offer pages devoted to helpful links. By finding these and combine them with broken links, you would be doing the webmaster a favor if you brought this to their attention while simultaneously suggesting one of your blog posts as a substitute. The way to do this is by using Google and a free Chrome extension called Check My Links. Using your Chrome browser search for “Check My Links” and press the button to install. Finding link rolls in a site is simple with the right search string. Go to Google and type “niche name inurl: links,” without the quotation marks and replacing “nichename” with your actual niche name. For example, if your niche is dog training then you would type dog training inurl:links. It will return a list that suggests outbound links to their readers and is where you’d ideally like your site to be listed. Go to each page. Once on your screen push the Check My Link button at the top right corner of your browser. The extension will check all the links on the page and highlight in red those which are broke. If any of those are relevant to your niche, contact the webmaster to advise them and suggest your article as an alternate. If you don’t have one that is similar, then it might be worthwhile to write one. The owner would perceive this action as being valuable to them and is very likely to add you to their list of links. What’s a roundup post? It’s a post you write that features excerpts and information about other sites in your niche. Citing those authors in your posts will position them as experts in their field. Then, email the webmaster with a copy of the link and let them know about the article. Don’t ask for a reciprocal link; instead, leave it to them to decide. They should be grateful for the recognition and will likely link to you in return. As mentioned earlier, asking for a link is not usually a successful strategy. Instead, appeal to their ego by contacting them to praise their work. Tell them you found it very informative and ask them a question about it. After they reply, mention that you also run a site and would be grateful if they would consider sharing it with their audience. By putting it this way, you are again offering something of value to their visitors while letting them know you value the website owner’s contributions. Knowing where your competitors get their inbound links makes it possible to copy them. By analyzing their sites for backlinks, it’s frequently possible to obtain the same links yourself. Go to Open Site Explorer (opensiteexplorer.com). Type in the URL of a competitor. The next screen will show you a list of backlinks pointing to the site. Many will be blog and forum comments. Identify these and go to the same source and make your own. While not an exhaustive list, these strategies will help you to obtain backlinks in a relatively simple fashion. By following effective SEO strategies and using real, trustworthy backlinks, you will soon find that your website climbs high in the search engines. These days you have to be more careful where you get your backlinks. Due to changes at Google with Panda and Penguin, your website could be gone from Google one day when you wake up. So, it makes sense to diversify your backlink and blog building and build a few sites in case something does happen to one site. There is also a whole other approach you can take but does take a considerable amount of time. And, that is creating quality content and sharing it over social media. Then, in time depending on how good your content is. Your content will get shared over the web, and backlinks will start to occur. This strategy does take a massive amount of time, however, and can be very frustrating for new webmasters. But, it does work if you are willing to put in the time. The trick is you need to help people and make content that is real quality.